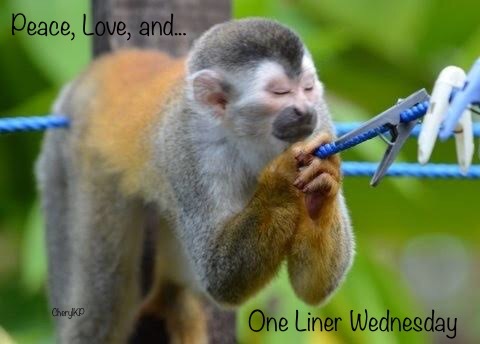 Linda hosts One-Liner Wednesday for us. Check out her blog to read some more participants this week. Beautiful photos and a much needed message! May the light grow stronger. Thanks, JoAnna. That’s my prayer as well. Good point about looking for the light that is left. I found it rather poignant. It’s always better to look for the old in people, no matter its size. I make it a point never to ask but “old” is too good to pass up. Probably because I qualify! Bwahahaha!!! This is a quote we should all remember. Beautiful photos. Thank you, Ginger. These are some of my favorite light-peeking-through photos. It was a nice way to think about seeing someone for what they have. Great one-liner and I love the photos, too!